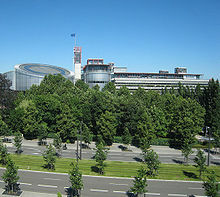 Although the British government took part in the negotiations prior to the adoption of the ILO Domestic Workers Convention, and further indicated its commitment to “a workable convention” that would protect ‘vulnerable domestic workers worldwide’, it was one of eight states to abstain from the final vote on the Convention on 16 June 2011. This refusal to support the landmark international law text centred on the public / private divide and the intersection of domestic work with social care policies. Ultimately, the UK government considered domestic work, as work taking place within the gendered private realm of the home, to be unsuitable for the same regulatory obligations as other types of work, highlighting the continuing role of the public/private divide in shaping access to human rights protections. The government was also concerned to ensure that no perceived legislative disincentive existed to individuals employing domestic care workers within their home, thus protecting its own social care policy of providing direct cash payments for stay-at-home care for elderly and vulnerable individuals. On the same day that it abstained from the vote on the ILO Convention (about which Siobhán posted yesterday), the government announced a consultation which would result in sweeping changes to the Overseas Domestic Visa (ODW) regime. These changes rolled back immigration law reforms achieved through years of political mobilisation by migrant domestic workers. From 2002 until 2012, following a long campaign by the Waling-Waling and Kalayaan migrant domestic workers’ associations, the UK Immigration Rules provided for a specific status for migrant domestic workers working in private households by way of the ODW visa. The ODW visa was granted for a period of up to twelve months, which could be extended for twelve months at a time. Family reunification was provided for as dependents could apply to go with the migrant domestic worker to the UK or to join them there. Migrant domestic workers also had a pathway to long-term residence, as they could qualify for “indefinite leave to remain” if they met the criteria laid down in Immigration Rule 159G -- providing a possible route out of temporary migration status for migrant domestic workers. Research conducted by Kalayaan showed that the option to change employer provided for by the ODW visa played a crucial role in enabling migrant domestic workers to escape from abusive employers, in facilitating them in negotiating fairer terms and conditions and remaining visible in the UK and in facilitating the pursuit of legal remedies against their employers. In the views of a House of Commons Select Committee on Human Trafficking in the UK convened in 2009 and the U.N. Special Rapporteur on the Human Rights of Migrants, the ODW visa also helped to reduce the incidence of trafficking and forced labour among migrant domestic workers. This key point should be seen in the context of the recognition by the European Court of Human Rights (left) of the links between migration status and vulnerability to exploitation in its judgments in Rantsev v Cyprus and Russia and Siliadin v France. Two cases taken by migrant domestic workers against the UK, Kawogo v UK and CN v UK are currently pending in Strasbourg. These applications seek to build on the Court’s finding in Siliadin that States have positive obligations to protect individuals from slavery, servitude or forced labour in breach of Article 4 of the European Convention of Human Rights. Nonetheless, this past February, it was announced that the Immigration Rules would be amended to provide that ODWs in private households will only be permitted to accompany and work for visitors. They must leave the UK with the visitor, or after a maximum of six months. They may not extend their stay, switch employer, sponsor dependents or gain long-term residence (“settle”) in the UK. The changes to the Immigration Rules came into effect on 6 April 2012. There will be no change in the legal status or position of those who entered the UK in the ODW category prior to 6 April 2012. The primary justification offered for the move towards a more precarious, temporary status was the perceived skill level attached to domestic work: migrant domestic workers were considered by the government to generally be doing low-skilled work, and allowing such unrestricted low skilled entry for an extended period was seen as running counter to the government’s wider policy of raising the skills levels of workers in the work permit system, and restricting numbers of low-skilled workers. The perception of domestic work as an atypical, low-skilled form of work, to be performed by someone who becomes a surrogate ‘member of the family’ rather than a worker with full employment (and immigration status) is evident in the discourse surrounding both the ILO Convention and the ‘reform’ of the ODW visa. In immigration law terms, these factors have resulted in domestic workers being framed as undesirable migrants. Overall, current UK law and policy reveals a retreat from a framework premised on a rights-based paradigm of domestic work, a retreat which is at odds with developments in the international sphere.